Suzy Welch is an established business journalist and author on subjects from work-life balance to organizational change, leadership and more. Her work has been featured in major national publications like Fortune, Businessweek, The New York Times, and The Wall Street Journal. Welch received a bachelor’s degree from Harvard College in 1981. Welch later attended Harvard Business School and graduated in 1988 as a Baker Scholar in the top 5 percent of her class. She kicked off her journalism career with the Miami Herald and then the Associated Press, and went on to work for Bain & Co. as a management consultant specializing in strategy and manufacturing. Welch later spent many years as editor-in-chief of the Harvard Business Review. She co-authored the book Winning and its companion volume Winning: The Answers with her husband and former General Electric CEO, Jack Welch. Her latest work is the New York Times best-seller 10-10-10: A Fast and Powerful Way to Get Unstuck in Love, at Work, and With Your Family, in which she communicates a transformative approach to decision-making. She is a member of the advisory board for the Jack Welch Management Institute at Strayer University and serves on the board of several nonprofits, including Boston Healthcare for the Homeless. Welch is also mom to four teenage children. 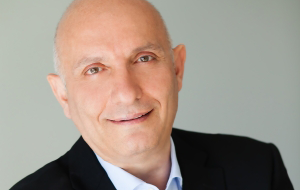 Roy Assad is a talented entrepreneur, having owned and operated restaurants, thrived in the insurance industry and managed redevelopment and improvement campaigns. He is the founder of the Human Capital Group, an executive, leadership company based in West Palm Beach. He is also the Chief Operating Officer of Muses and Visionaries magazine. Roy moved to West Palm Beach in 2001 after living and working in New York for over 25 years, primarily as a successful Insurance agent and insurance agency owner. Roy’s experience also includes forming and eventually selling a custom clothing company, opening and managing two successful restaurants, and founding The Human Capital Group in 2003. Roy serves on either the board or committees of organizations and charities such as the Palm Beach County Convention & Visitors Bureau, Dress for Success, 2% Solution, the West Palm Beach Downtown Development Authority, International Coach Federation (South Florida), Florida Restaurant & Lodging Association, Arthur Marshall Foundation and the Governors Club and Pantelides PR & Consulting.